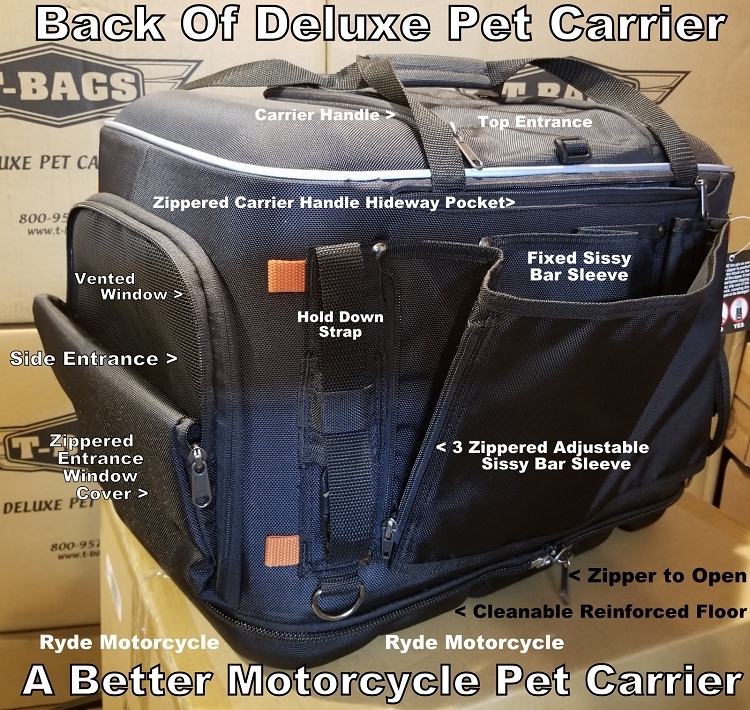 The Item : Don't be fooled by cheaper nylon pet carriers or even the more expensive pet carriers on the market. 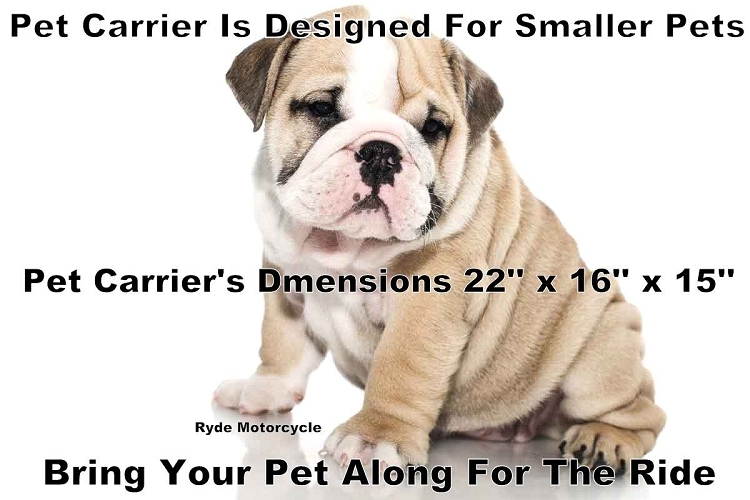 Get the very best at a very Affordable price. 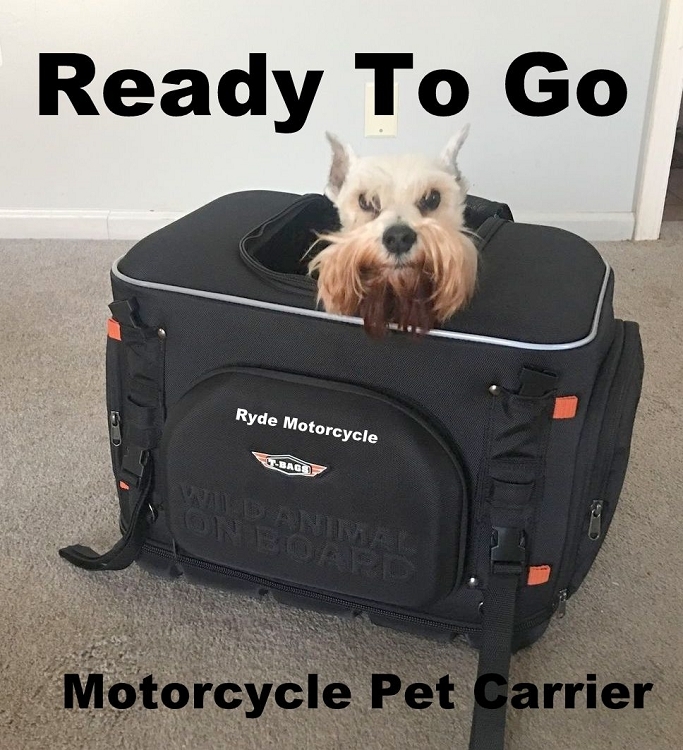 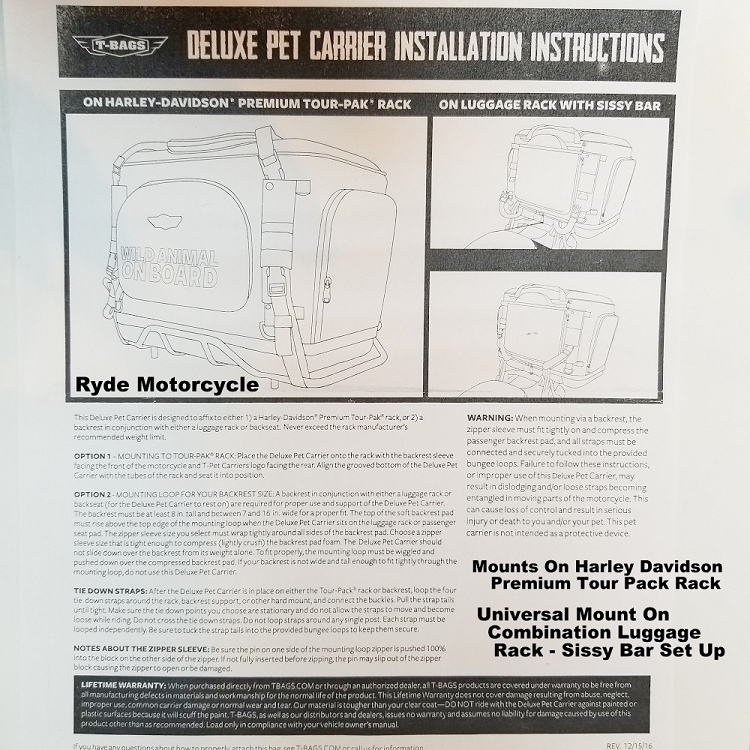 Our motorcycle Pet carrier from T-Bag features a protective molded hard outer case and is loaded with all the features you, your pet and your motorcycle will love! 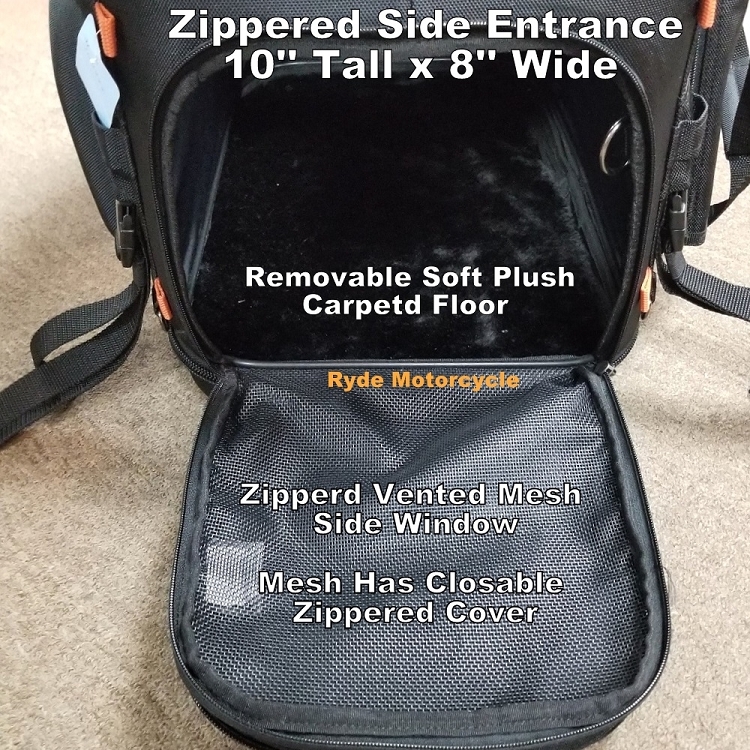 Reinforced, removable, cleanable floor with a plush carpeted for your pets comfort . 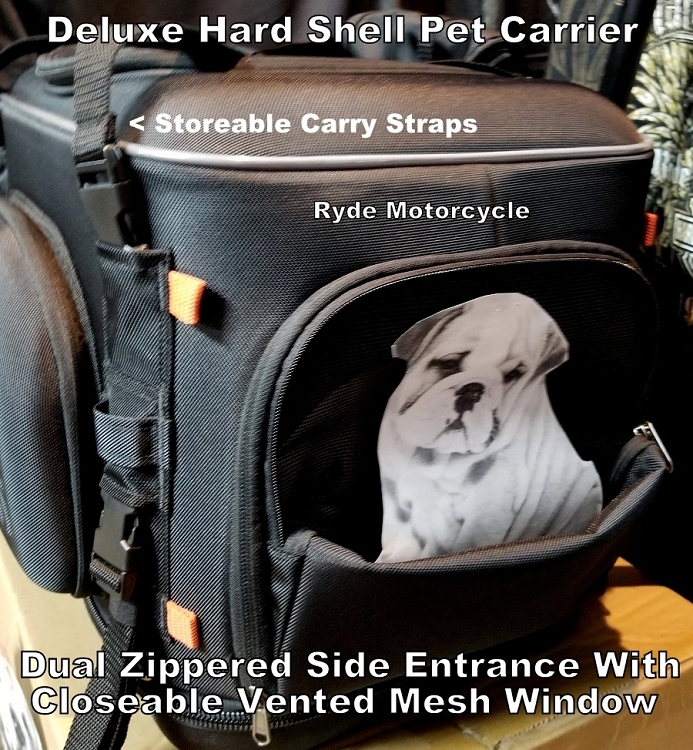 Top and side openings for easy pet entrance and exit. 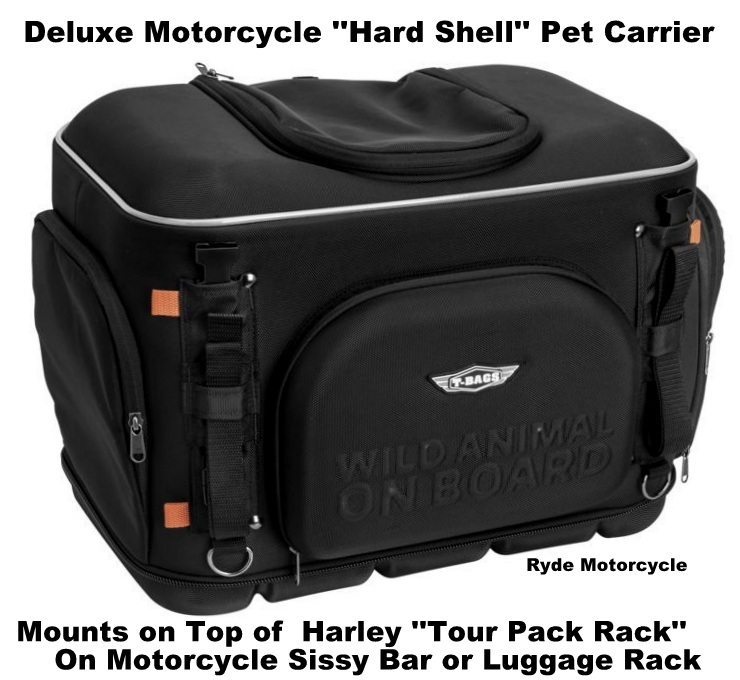 Adjustable backrest sleeve for sissy bar / Luggage rack installations. 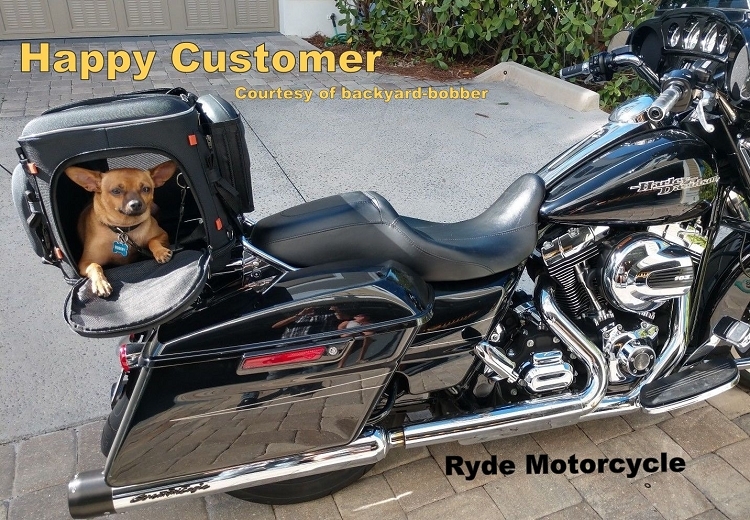 Bring your best friend along for the ride!